As cofounder of Fast Company magazine, I’ve spent two decades learning from and writing about extraordinary companies, cultures, and leaders. In my new book, Simply Brilliant, I share some important lessons about culture and competition from these companies, which you can find out more about below. If you enjoyed my talk, you’ll probably like my Simply Brilliant Leadership Quiz. Take the quiz and find out which of the four leadership types you are. Also, while you’re here don’t forget to check out my resources section, where I have all kinds of interesting resources around the ideas in Simply Brilliant. Join my newsletter and instantly get a preview of Simply Brilliant, and stay up to date with my monthly updates. The cofounder of Fast Company shows that opportunities for breakaway performance may be closer than you think. An award-winning hospital and healthcare system in Anchorage that has produced remarkable health outcomes among the long-troubled Alaska Native population. The secret is not advanced technology, but a renewed sense of humanity. Miami Beach’s 1111 Lincoln Road is a parking garage that also serves as a wedding venue, shopping center, and social hub. Its design turns something drab into something fab. USAA, the legendary financial-services brand for soldiers, teaches employees to relate to their customers by immersing them in military culture. It’s more than just a company, it’s a cause. Pal’s Sudden Service, a fast-food chain with a cult following, delivers such unprecedented order speed and accuracy that other companies pay to learn from its success. "Bill Taylor is back—and he's better than ever! Simply Brilliant describes how to make your organization truly extraordinary by focusing on the values that set you apart from the pack. Brimming with fascinating case studies, Simply Brilliant is essential reading for leaders in every industry." "A fascinating look inside companies that are rewriting the rules of success. If you’ve ever wondered whether imagination trumps knowledge and passion beats ambition, drop what you’re doing and read this book." "Bill Taylor has done it again. This book is going to change your business forever—when you read it, you'll understand." "I love this book so much. Greatness (!) from real people (!) in the most un-Silicon Valley (!) markets and locations imaginable. Wow!" 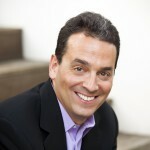 Bill Taylor is a writer, speaker, and entrepreneur who chronicles the best ways to compete, innovate, and succeed. As cofounder and founding editor of Fast Company, Bill launched a magazine that won countless awards, earned a passionate following among executives and entrepreneurs around the world, and became a legendary business success. In less than six years, an enterprise that took shape in borrowed office space in Harvard Square sold for $340 million. Fast Company celebrated its twentieth anniversary in October 2015 and continues shape the global conversation about business. 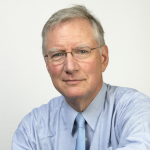 Since starting Fast Company, Bill has also written three books on leadership and change. 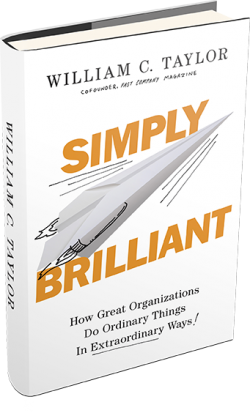 His new book, Simply Brilliant: How Great Organizations Do Ordinary Things in Extraordinary Ways, will be published on September 20, 2016. His last book, Practically Radical, was a Wall Street Journal bestseller. 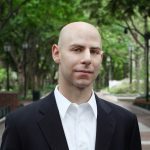 His previous book, Mavericks at Work, was a New York Times bestseller and was named a “Business Book of the Year” by The Economist and the Financial Times. 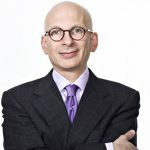 Bill created the “Under New Management” column for The New York Times and has published numerous essays and CEO interviews in the Harvard Business Review. He now blogs regularly for HBR. 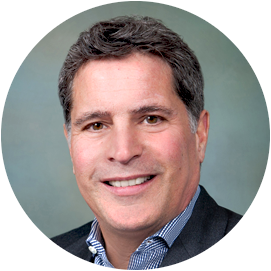 A graduate of Princeton University and the MIT Sloan School of Management, Bill lives outside of Boston with his wife and two daughters.